This is your favorite BBQ Chicken with Bacon pizza toppings but in a Calzone! 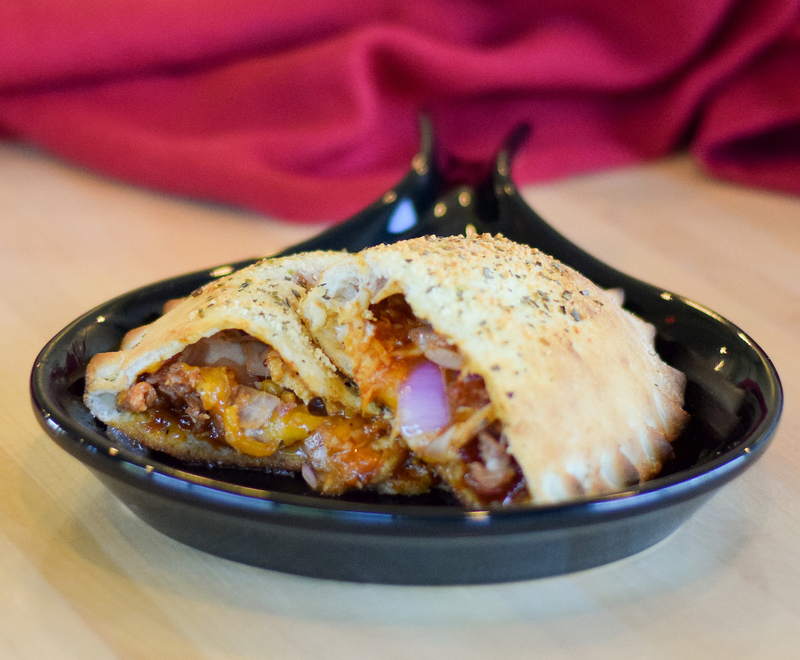 We hand pound our traditional pizza dough and brush it with BBQ Sauce. Then, we top it with Mozzarella & Cheddar, Chicken, Bacon, and Red Onion. Finally, it’s sealed then brush with garlic butter and baked to perfection.